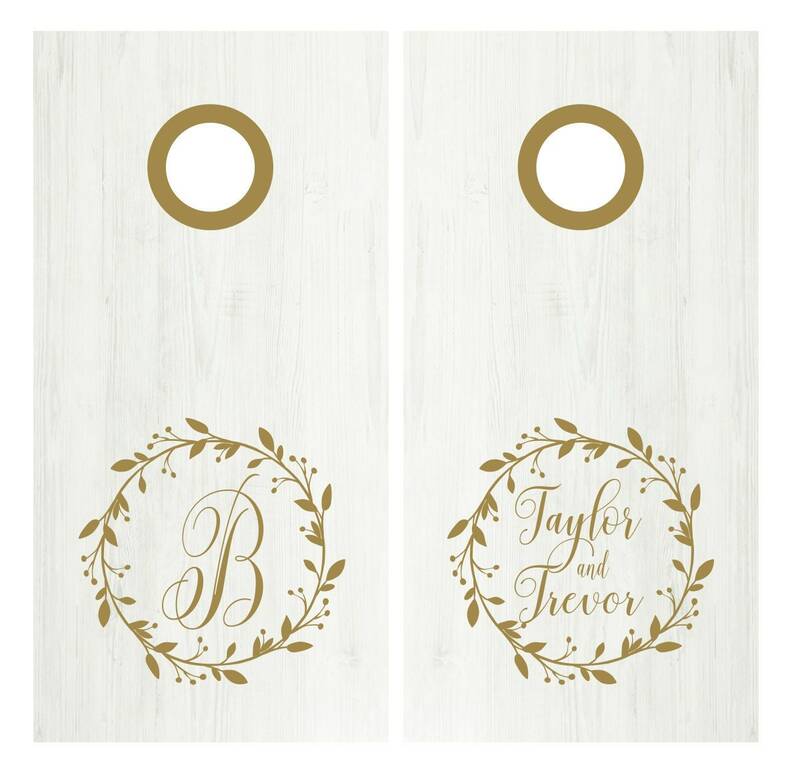 Wedding games continue to be trendy for barn weddings, outdoor rustic weddings, and beach weddings. Cornole bag toss is a game everyone can enjoy. 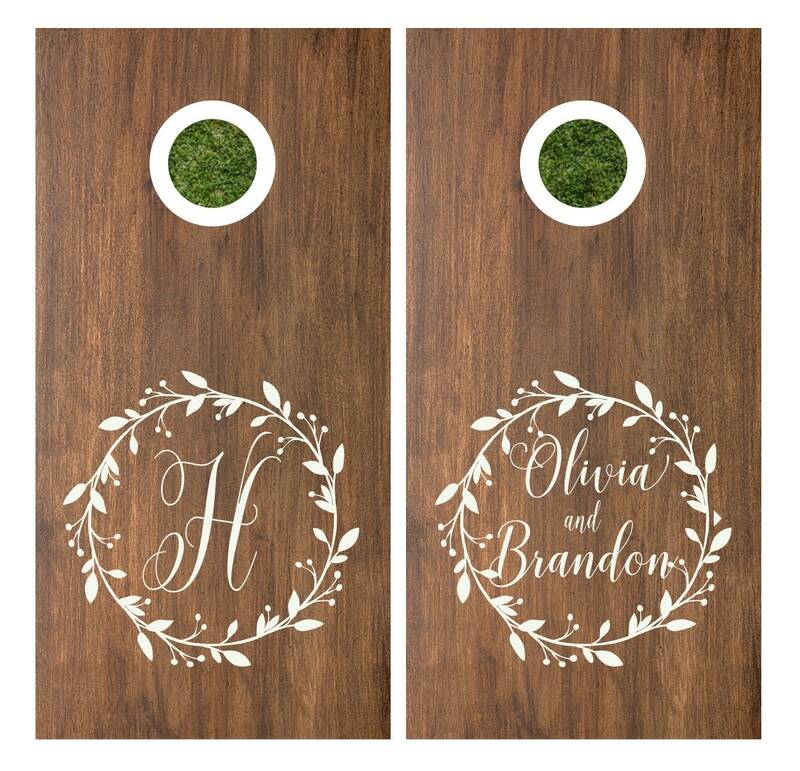 Personalize your wedding corn hole game boards with a set of two wreath decals. This is gorgeous using your last name monogram initial in one wreath and the second wreath is personalized with bride and groom names. 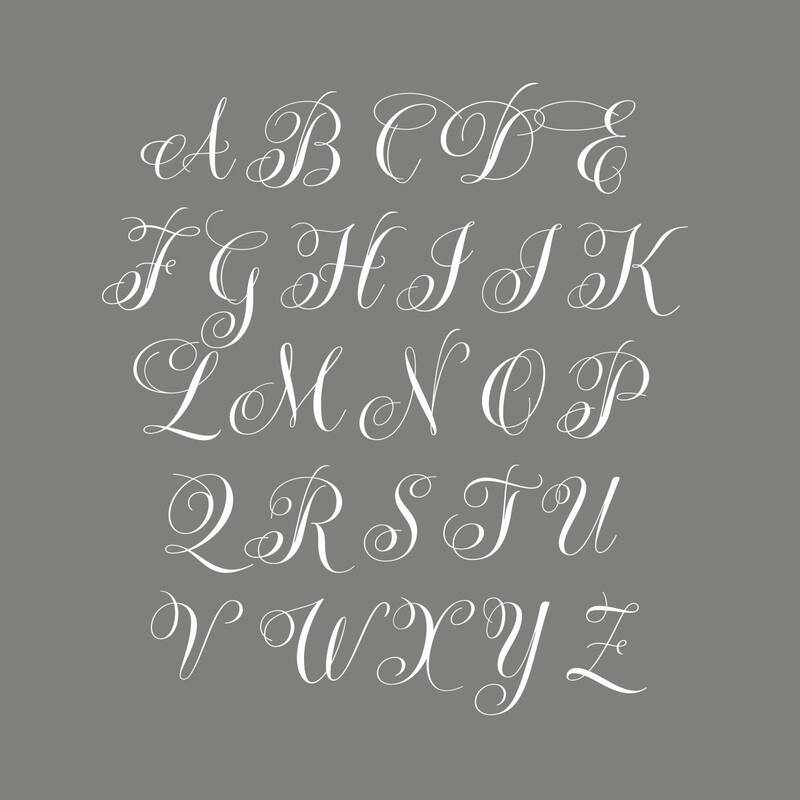 Vinyl decals are so delicate that only you will know it's not hand painted. Makes a great father of the bride or groom project or a great wedding gift. 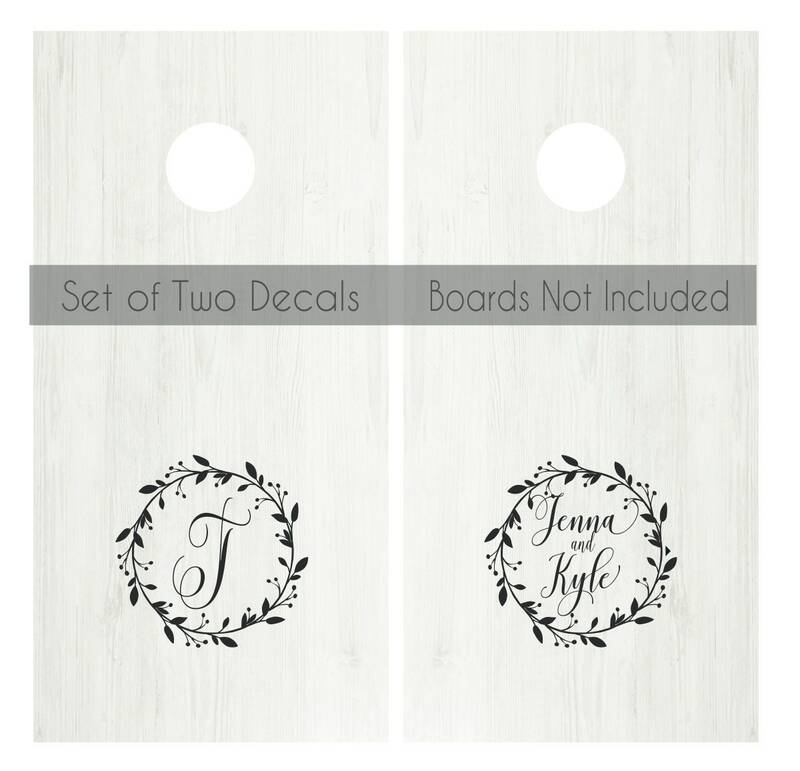 Listing is for a set of two vinyl decals and does not include game boards or bags. Shown for display purposes only. Background color represents wall paint. Design shown in dark red, white, and gold metallic.